Detailed Section and Town Maps, Histories, Biographies, Residence and Business Lithographs. 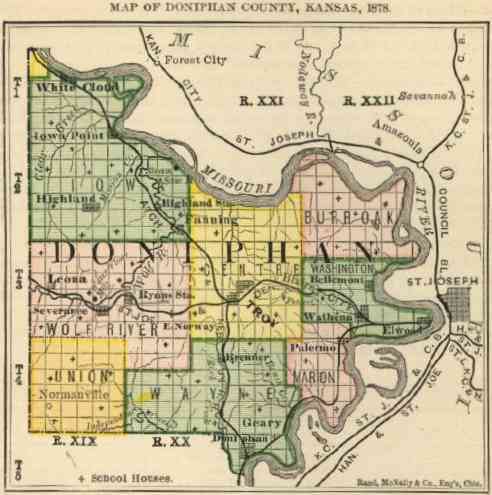 Doniphan County, beginning around 1857.
about 320K of historical and biographical text. Other graphics are approximately screen size, or about 150 KB. and large size maps. Almost all names can be read on the small maps. then to the pictures of houses and businesses, etc. have been added.